10ton Ltd., the developers behind Crimsonland, have been working on another twin-stick shooter, Neon Chrome, this time with a cyberpunk theme. Players will be have to battle their way through a "megastructure," called an "arcology," in order to bring down the Overseer and stick it to the digital man. While your goal is the same each time (i.e., kill the Overseer), your path there will be different. 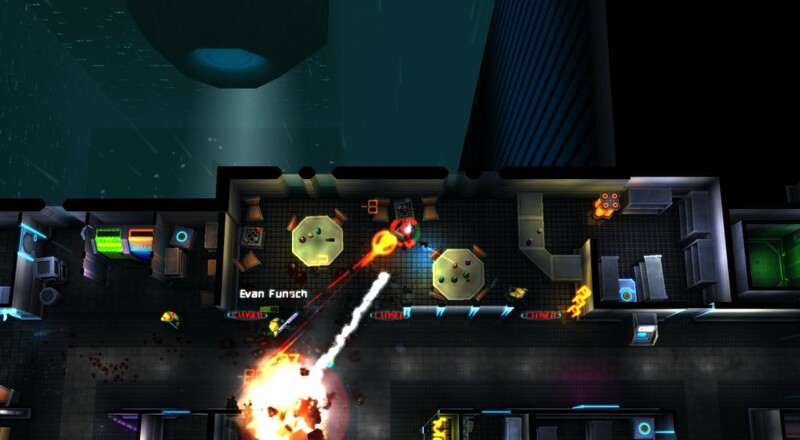 Neon Chrome utilizes some roguelike elements, such as procedurally generated levels and different purchasable perks, to ensure a different experience each time through although some things, like boss battles, will be more fixed. You'll also be able to shoot through walls and other environmental structures so you can get the drop on enemies or make a quick getaway. The game supports four players locally and will launch on Steam on April 28. A PlayStation 4 and Xbox One versions are in the works and should be out "in May or June," according to the developer. Page created in 0.8611 seconds.